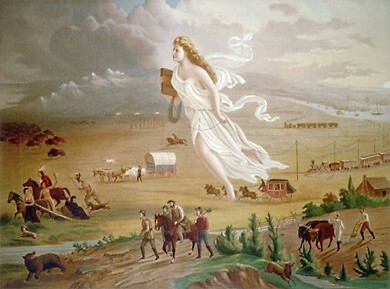 Progress is an allegorical representation of Manifest Destiny. Darkness Of the "Uncivilized" West. (above). English Settlement in the New World. (below). In 1846, an American senator said the following: "America's destiny is invasion and expansion; it is like the staff of Moses, which turned into a snake and swallowed all the Pharaoh's snakes. Give her time, and you will find her swallowing areas as large as the European kingdoms every few years. This will be the rate of her expansion." [MOST likely refers to Senator Thomas Hart Benton ]. The destiny the senator referred to began in 1587, when the English landed at Roanoke Island and were greeted by the Native Indians. The Indians gave them clothing, food, all the land they wanted, and taught them the survival skills they would need in their new environment. But after the English became accustomed to their new lives, they began finding excuses to kill their hosts, and waited for a good opportunity to destroy their harvests and burn their fields. [Editor's Note: In 1587, 100 men and 17 women landed on Roanoke island, off the Virginia coast. 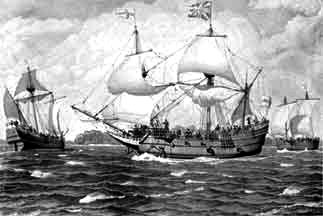 Shortly thereafter, one of their ships returned to England to obtain additional supplies. When it returned nearly three years later, the settlement was deserted. No one knows what became of the settlers]. Until the mid-seventeenth century, Mexico was more populous and larger than the U.S. 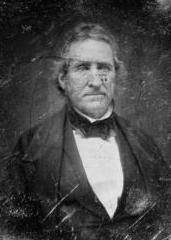 When President James K. Polk started a war with Mexico in 1846, the U.S. expanded west and occupied 4 Mexican States. 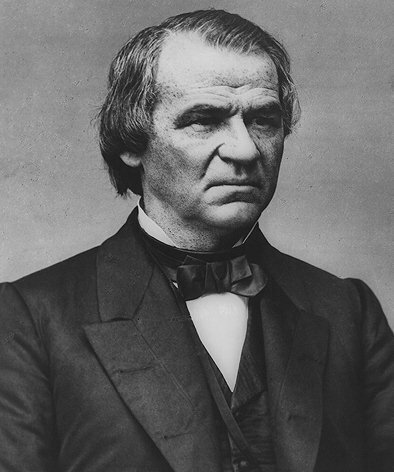 In 1866, President Andrew Johnson made these places part of the Union. This war tore Mexico apart, and if it hadn't taken place, Mexico would have become larger and more economically powerful than the United States. In 1867, Johnson purchased the state of Alaska, which is over 586,412 square miles, from the financially bankrupt Russian Tsar for the sum of one million golden pounds. [US$7.2 million, or less than 2¢ an acre]. James K. Polk, Andrew Johnson; Ronald Reagan; George W. Bush. Is There an Inter-Generational Continuity to America's Policy of Manisfest Destiny? Today, Bush has invented the notion of a Greater Middle East to control the Arab region and its wealth under the banner of fighting terror, spreading freedom, implementing democracy and banning weapons of mass destruction. 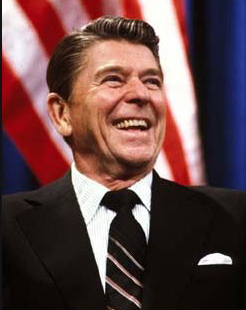 What's the difference between the fruit basket of the Greater Middle East - (which includes the Arab world from Mauritania to Iraq, in addition to Turkey, Iran, Afghanistan and Pakistan) and the American security zone enunciated by Ronald Reagan in 1981, was intended to spread American influence, to contain the supposed communist danger there? If past promises of freedom and democracy's spread across the world were true, why the need for all the military bases, for example in the Panama Canal, Guantanamo, Diego Garcia (in the Indian Ocean), the Portuguese Azores (Atlantic Ocean), the Seventh Fleet base in Sattahip (Thailand), the bases in Yokusoka (Japan), Djibouti, Iraq, and we should not forget the Sixth Fleet which has been based in the Mediterranean Sea since the middle of the last century. In the past, the United States refused Soviet leader Leonid Brezhnev's proposition to make the Mediterranean an area free of missiles and nuclear submarines. He also proposed to pull out both Soviet and American fleets. What was the American reply? It was to increase the number of submarines and air carriers.